A review and breakdown of the New York-LA fashion label’s show at the Whitney, the museum’s first fashion-focused exhibition since 1997. CCTV portion of Eckhaus Latta and Alexa Karolinski show at the Whitney Museum. 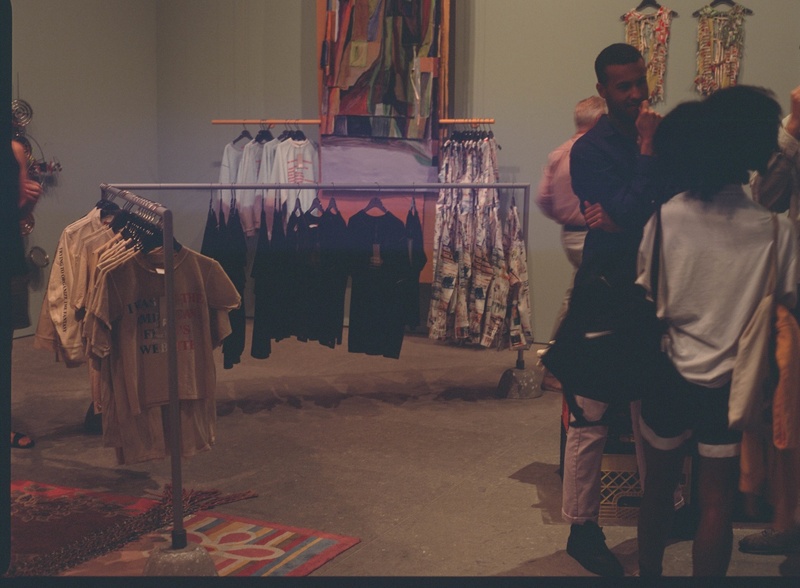 “Are these for sale?” “Yeah, I’m going to get that one.” The first comments I hear at the Whitney Museum's new Eckhaus Latta show aren't what you typically hear while eavesdropping in a museum — in a neighboring store in the Meatpacking District, maybe, or a Chelsea gallery. 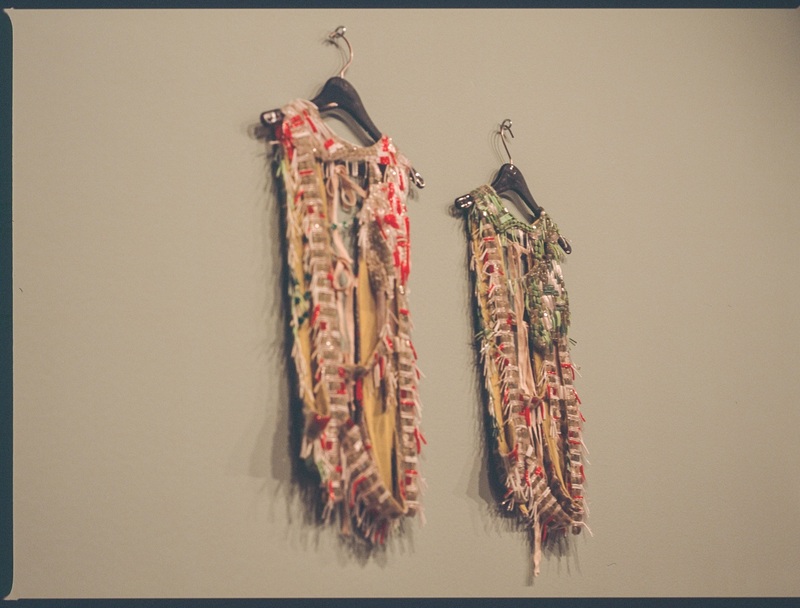 But in the context of Possessed, New York and Los Angeles-based fashion label Eckhaus Latta’s first solo show in a museum and the Whitney’s first exhibition focused on fashion since 1997, there's little initial difference between the artworks hung on nearby walls and the clothes hanging on the exhibition's hangers. Through the curatorial work of Whitney curator Christopher Y. Lew and the museum’s head of product development Lauri London Freedman, the show is quite explicitly a meeting between the creative and the commercial. 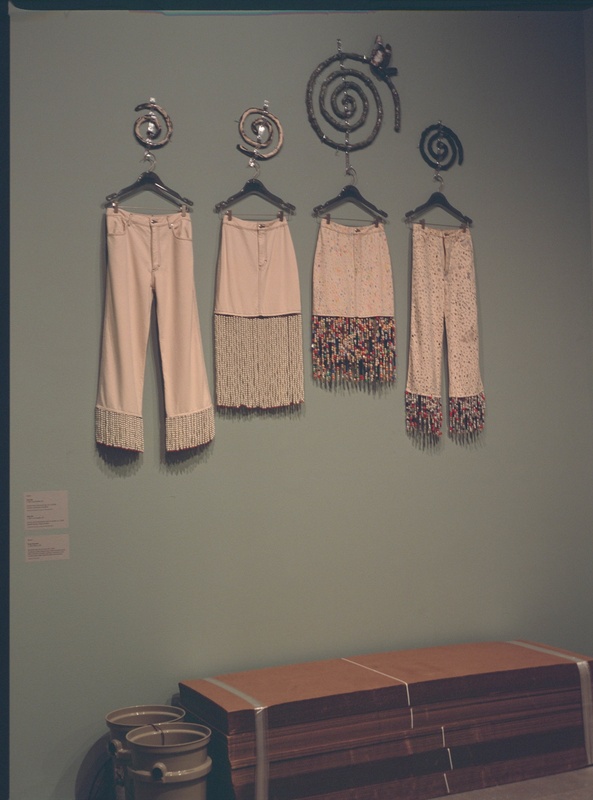 The first component of the exhibit is the photography, with light boxes flanking the entryway that are uncharacteristically glossy for the brand; next comes the “operational retail environment,” where designs such as sweaters woven from plastic and denim with pearl-flapper hems are interspersed with design works contributed by other artists. The last (and, arguably, most surprising) component is a surveillance installation, where CCTV footage and two-way mirrors push viewers to look back at the behavior they just exhibited, as well as other viewers behaving the same way. The entire exhibition takes place in the Whitney’s free-to-enter main-floor gallery space, alongside the museum's gift shop and restaurant. I couldn’t help but think that if the show were in one of the upper-floor galleries, the designers' attempted juxtapositions between art and commerce would come across more directly. That having been said, the exhibition's placement also makes it possible for Eckhaus Latta fans to experience something they otherwise may not have had access to, and one of the designers' most provocative traits is their inclusivity. In reports on fashion week diversity, they are often cited as a label that takes a more thorough view, paying attention not just to race but also to size, age, and gender identity. Their approach to Possessed proves that this commitment carries across any project they take on. The space in the exhibition that most achieves Eckhaus Latta's critical and self-reflective curatorial goal is the surveillance area, created by frequent collaborator and filmmaker Alexa Karolinski. The installation is both witty and unnerving: stepping into the space and seeing the consumerist behavior you just took part in is what sets this experience apart from simply visiting Eckhaus Latta's LA shop. Art should make a viewer consider something in a new way, even if it’s simply an aesthetic provocation — and the installation more than checks that box. Compare this experience with a contemporary pinnacle of interactive installation — for example, one of Yayoi Kusama’s Infinity Mirrored Rooms, in which a viewer can take a mirror selfie and purchase an artwork without observing themselves going about these actions. Walking through Eckhaus Latta's show for the first time, I took my time in front of the Susan Cianciolo-designed mirror before passing into the surveillance room, in which I saw where others would have been watching me on the other side of the two-way mirror. The experience made me laugh, but the installation's also meant to speak to the pervasiveness of surveillance in contemporary life. There are other provocative, tongue-in-cheek moments embedded within the installation, including the titles of some of the non-garment-based artworks featured throughout. There's artist Torey Thornton’s bench titled Benching Hierarchy, and a piece from Jessi Reeves titled I'm a Fan, featuring a fan adorned with photos of Eckhaus and Latta. These contributed artworks are one of the show's highlights, and being able to touch and feel the works set this installation aside from other similar experiences. Unlike, say, Prada Marfa, the inclusivity fostered by Possessed is the result of poking fun at and engaging with the fashion industry from the inside rather than out. By extension, while the exhibit's photographic component serves as a fine introduction to Possessed, it falls flat in its goal of exploring “how Eckhaus Latta’s aesthetic functions in relation to the highly polished look of the industry’s media” (from the exhibit’s press release). The designers' editorials and ads may not be Vogue archetypes, but they've nonetheless been too fully embraced by the industry for these images to speak to that juxtaposition. The desired close-reading of the industry doesn’t take place until the viewer walks through the designer’s braided curtain into Karolinski's surveillance room. Within this conversation, it’s worth noting that New York's art world played host to another fashion-focused exhibit last year with Items: Is Fashion Modern? at the MoMA. Items was all about putting fashion in a social context: what are the politics of Levi’s 501s, and what material technology is changing the designs of a burka? This exhibit was guided by design rather than designers — the inverse of Possessed — but it also offered an accessibility to fashion that may have been overlooked in the past. Where Items tried to look at the street through fashion, though, Possessed is looking at fashion through fashion — a more niche approach, but in a way that represents the Eckhaus Latta brand. The designers have seen success in the fashion world through challenging its norms, from how it shows its calendar to what gender binary it's meant for. This show holds the potential to encourage the art world to do the same, and for institutions like the Whitney to make room for their gender and discipline-fluid collaborators in other fields as well. How can institutions and curators challenge the primacy of visual art hanging on a wall, to show fashion and other disciplines in a new way? Questions like these posed by Eckhaus and Latta investigate the difference between fashion displayed in a store and when it's presented as such in a museum. 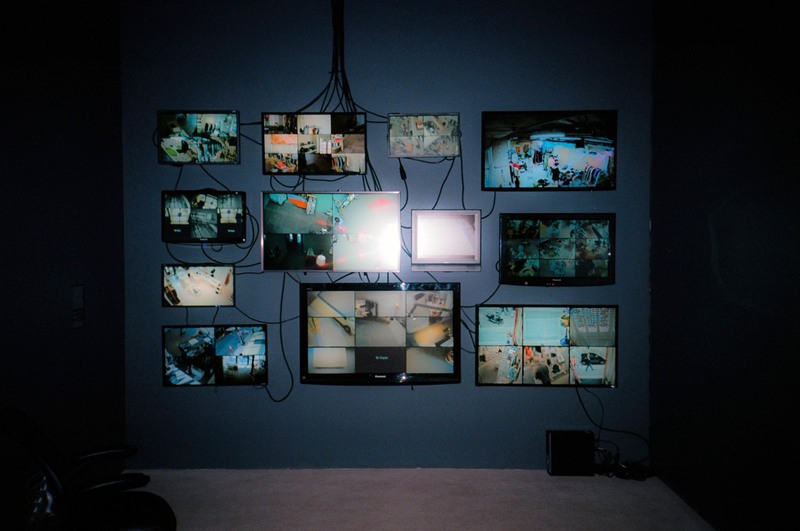 The surveillance component in particular presents an interesting answer, as well as a provocative look at what could become more common in future exhibitions, in its breaking of the fourth wall. Eckhaus and Latta are using their clout to reject this visual art primacy — along with all the other norms they refuse to buy into — and if the Whitney has noticed, who might be next? See Eckhaus Latta: Possessed, on view now at the Whitney Museum.